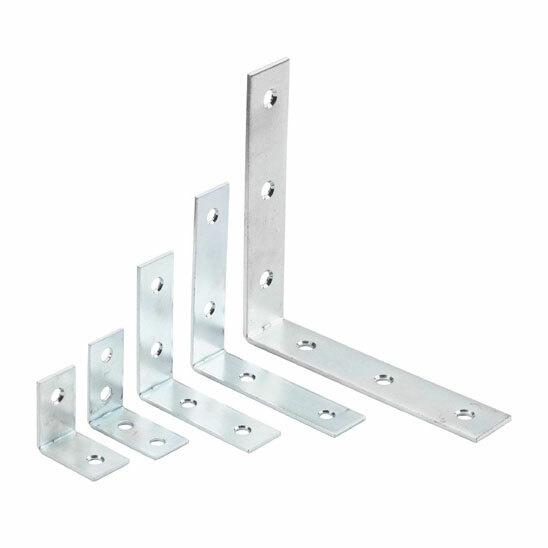 If you need a variety of different sized corner brackets, you may benefit from ordering this set. Our corner brackets are durable, thanks to their steel construction and zinc plating, and pre-drilled to make cutting as easy as possible. It is great value as you will receive five different sizes - 25mm, 32mm, 40mm, 65mm and 75mm - and a minimum pack size of 100 means you will get 20 of each size. We also sell packs of 1,000 which incorporate 200 of each.